If you’re evaluating CMS platforms for an upcoming project, Drupal should be one platform that you consider. It was built for generating content and also has robust ecommerce abilities through the Drupal Commerce module. If you only need to publish content, it’s great for that. If you only need ecommerce, it’s great for that, too. The fact that it does both very well is a winning combination that will always be available to you, now or down the road. This post takes a look under the hood of Drupal to show you why you might want to take a first, or second, look at the Drupal CMS. As mentioned in the introduction, Drupal was built for content creation and it is very good at that. But, if you’re unfamiliar with Drupal, you probably wouldn’t understand WHY it works so well for this. Here are some of the things that really separate Drupal from other platforms. At the core of Drupal content creation is something called a Content Type. A content type is a collection of fields that are used to generate a certain type of content, such as a general page, landing page, blog post, press release, etc. It’s one of the first pieces of a new Drupal site to be configured. Configuring content types is mostly done through Drupal’s admin user interface (UI). Through the interface, you add fields. If you think of any website form that you’ve seen in the past, the form is made up of fields for you to enter in your information. This is the same for Drupal, but you’re actually creating the fields that are used to generate content. For example, a blog post typically contains a title (text field), body (textarea field), header image (image field), publish date (date field), author and category (reference fields). For the blog content type, all of these fields would be added as well as any other that you need. The field options available a many. If you don’t see a field that you need, chances are someone has already created it and you just need to install a module that adds it in. After all of the fields have been added, you then configure how the fields are displayed to your content creators and to the end user viewing the content. I won’t get into details here, but many fields have options for how that content gets rendered on the page. Using an image field as an example, you can choose to render the image as the original image, or as a processed image (like a thumbnail), or as the url path to the image on the server. Each option has its uses once you start theming the site. Keeping with the blog post example, when viewing a blog post you typically see other elements on the pages such as a subscribe form, list of recent posts, and call to actions. It doesn’t make sense to manually add these things to every single blog post, so instead we place this content in something called a Block and assign the block to a Region. Regions are added to your page templates and are there for you to place blocks into. When adding a block into a region, each block can be configured independently of one another so that you can assign blocks to specific pages, content types, access levels (i.e. anonymous vs. logged in users), etc. A block can be many different things, but one type of block is similar to a content type in that you can add fields that are used to make up the block. A View is a powerful tool within Drupal for creating dynamic content based on other content. Views allow you to take existing content, manipulate it, and display it in another way. They can be used to create both pages and blocks. Again, using the blog as an example, if you look at a page that is listing all of your blog posts at one time, this is most likely a view. The view is taking content generated using the blog content type, manipulating each post so that you’re only seeing specific information such as a date, title and introduction, and then adding a ‘Read More’ link after the introduction. Not only is the view manipulating each post like this, it’s also displaying the 10 most recent posts and showing you a ‘Load More’ button afterwards to load the next 10 posts. This is a pretty simple example, but as you can see it’s quite powerful. You can use as much or as little of the content information as you need and it gives you fine-grained control to use and re-use your content in new ways. Any serious content platform needs to include a robust set of metatag options. The built in metatag module for Drupal is excellent in this regard. You can set default options for every content type and override those defaults for individual pieces of content if needed. You can choose if your content should be crawled by search bots or not, how your post would appear on social media if shared, and more. This might not apply to you if you’re the only one creating content for your website, but, if you have a team of content creators, workflows let you assign specific permissions to your teammates. For example, you can allow your writers to draft content, your editors to approve the content, and finally a publisher can publish the content. Instead of explaining it all here, here’s a separate article and video that shows you how it works. Anything that adds new functionality to the base Drupal platform is called a module. A module can be small (such as adding a new field type) or big (such as adding ecommerce functionality). You can separately Google “best modules for Drupal” and see a whole bunch of popular modules, but one of our favorites that I want to mention for content creation is the “Paragraphs” module. This module lets you create reusable sections of content that can be used within your content types and product pages. So, instead of just a body of text you can add cta straps, rich media, image galleries, forms, etc., all within your content. We use it on our own site to quickly make unique page layouts for our content. Drupal’s theming engine enables your designers and front end developers to implement anything they can dream up. 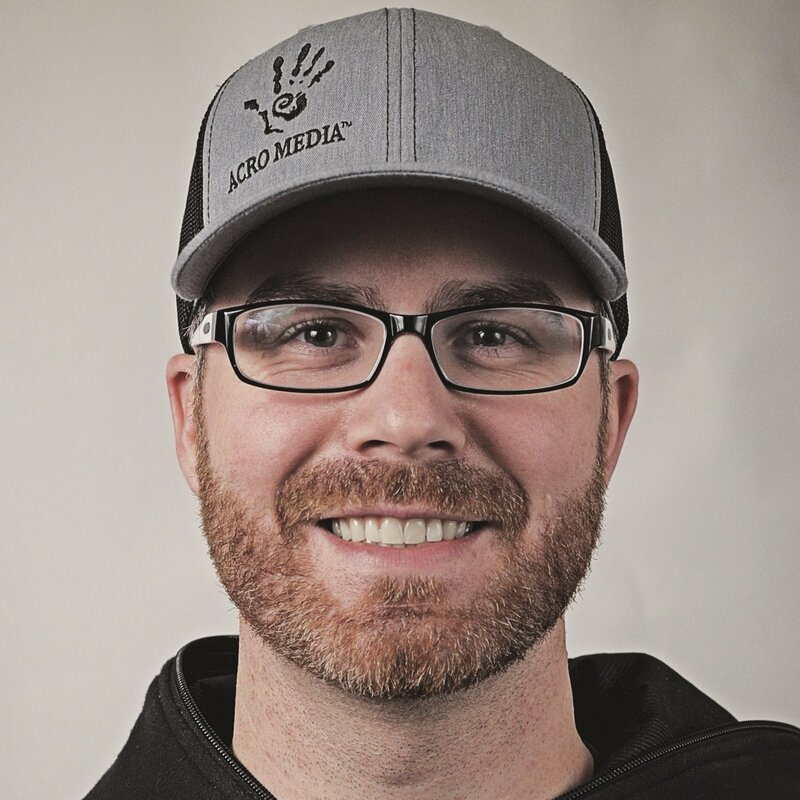 You have broad control over the look and feel of your site so that everything is consistent, but you can also create totally unique pieces of content or individual pages that may break away from your normal styleguide. Say you have a new product lineup that you’re launching. You’re store branding is one thing, but this product has its own unique branding and personality that you want to convey. Well, you can give your designers full control over how the product should appear on your website and your front end developers can make it happen using the granular template override system. The Commerce module for Drupal turns your Drupal site into a fully fledged ecommerce platform that is 100% capable of running any size of ecommerce site you throw at it. And remember, this is adding functionality to Drupal, so you still maintain the ability to do all of the content side of things mentioned above. In fact, not only can you still generate other content, but all of the things that make content creation great on Drupal also apply to the ecommerce side of your site. Your product pages are totally fieldable and themable, just like the content. You can assign blocks to your project pages. You can use views to set up your catalog and create blogs that filter out featured products or related products. Everything is fully customizable. There are also many modules available specifically for Commerce that give you even more functionality and integrations, and this is actually where ecommerce on Drupal becomes a “big deal”. Drupal Commerce is API first, which means that it was made to be able to connect to other services. So while you might run your ecommerce store on Drupal Commerce, you will most likely also use other software for your business accounting, marketing and customer relations, to name a few. Drupal Commerce can integrate with these services and share information in order to automate tasks. We have a whole article that drills down on this topic and explains why ecommerce platforms like Drupal Commerce can be a great fit for your business. I would recommend reading it here. We’ve really only scratched the surface on what Drupal can do from both a content and commerce perspective. I hope you’re beginning to see the whole picture. The truth is that most ecommerce platforms don’t do both content and commerce well. You can definitely find many great content creation platforms out there, but can they also do ecommerce? Likewise, there are a ton of ecommerce platforms that will sell your products, but how well can you create other content and do you have the flexibility to customize one or all product pages in the way that works best for your products. And, can you integrate that platform with other services? These are all important questions to ask even if you don’t think you need a robust content platform or an ecommerce component now. If you think you might need it in the future, planning ahead could save you a headache later. While there are a lot of options out there and I encourage you to explore them, Drupal should be high on your list of possible options. It’s one thing to say Drupal is great at all of these things, but why not give it a try. 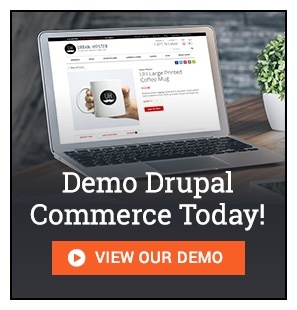 We’ve actually created a complete Drupal demo that showcases both content and commerce together. Click the link below to check it out and see what you think. If you’re interested in exploring how Drupal can fit with your business, feel free to . We’d be happy to have that discussion with you.